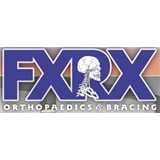 FXRX Orthopaedics & Bracing (Tempe) - Book Appointment Online! PlEASE READ IN IT'S ENTIRETY Welcome to FXRX, the premier practice of Arizona orthopedic surgery in metropolitan Phoenix AZ! Dr. Sumit Dewanjee, MD, is a Board Certified, Sports Medicine Fellowship Trained Phoenix Orthopaedic Surgeon. If you have an orthopedic injury, you will be in good hands at FXRX. Dr. Dewanjee has received several Patients' Choice Awards in recent years for his patient-centered and caring AZ orthopedic surgeon treatment. His main office is in Tempe, AZ. His practice focuses on orthopedic sports injuries of the knee and shoulder along with orthopedic fracture treatment, general orthopedics such as total knee replacement and orthopedic bracing. Please note our office accepts many insurance plans and is out of network with some but will still work to best maximize your insurance benefits.